(CNS): Leader of the Opposition Kurt Tibbetts says that the PPM will be moving a motion at the Legislative Assembly’s Finance Committee when it meets to review the 2010/11 budget that all MLAs accept a 20% pay cut and a 30% cut for the premier, as McKeeva Bush had originally proposed in March. Following the recent revelation by the premier that his own party was only prepared to take a 3.2% cut and accusations that opposition members were not willing to accept it, Kurt Tibbetts told CNS on Thursday afternoon that the PPM would ask the elected members of the House to vote in favour of the original larger cut to show the country that they were all willing to make sacrifices. The opposition leader said he was surprised the premier had said this week that the members of the United Democratic Party were now only willing to accept the same 3.2% cut as that being accepted by the rest of the public sector. In March when Bush announced the proposed pay cuts, Tibbetts said, the premier had stated that his proposal had been discussed with the UDP members and they had all agreed to it. in light of the agreement among the government benches on the pay cut in March, Tibbetts said he hoped they could agree to it now, despite indications by the premier that they were no longer in agreement with the 20% cut. He said the opposition wanted to play its part, and although the total amount saved on politicians’ salaries would not equate to major savings on the overall budget figure,. Iit was still a contribution. “I don’t think there is any one cure-all for this. It will take everyone one of us to make a contribution," he added. The issue of politicians’ pay is a delicate one and the public seems keen to see MLAs take a greater pay cut than the 3.2% that the wider civil service is being forced to accept. The reason why the premier has retreated from is earlier position is still not entirely clear. Speaking to News 27 on Wednesday, Bush his MLAs would accept the same as the civil services cuts and accused East End MLA and PPM Arden McLean of saying he, too, would only accept the 3.2%. McLean has emphatically denied ever saying he was not willing to accept the original 20% proposal and accused Bush of lying. McLean said the PPM had never been consulted over the salary issue. None of them had at any time ever said they were not willing to take the cut as proposed in the LA in March. According to the CNS comments and the current poll, readers on this website appearoverwhelmingly in favour of MLAs taking a significant pay cut. 86% of CNS readers who took part in the poll said that MLAs should take a cut of at least 10%. The article “Brokers proffer market ideas”, to be found in the Cayman Net News (21st May), presents some good and some bad thinking. With no disrespect to the leading real estate brokers quoted, I am afraid that they may be missing something of the bigger picture. For experts to say that “talk of taxation” must be taken off the table and in the same breath to say that the airport must be extended to accommodate direct flights from Europe encapsulates flawed thinking. They might also have added to the wish list sorting out the potentially disastrous waste (mis)management crisis before it happens and really adversely impacts prime real estate values along the Seven Mile Beach. We cannot keep calling for expensive infrastructure projects and other things that “Government must provide” unless we are prepared to pay for them. To do otherwise is to bury our heads in the sand. And it is the obligation of all to contribute fairly to the essential infrastructure and services that everyone, local and foreign, needs and reasonably expects. There is a wealth of learning (even from the libertarian right) that public revenue generated from real estate can be fair, efficient to collect and sustainable in the long term. I believe a correctly structured and acceptably priced community service charge (CSC) levied on property (administered by the Land Registry) and dedicated to infrastructure, waste management, police, emergency etc services (with appropriate exemptions, bandings and transition provisions and a competitive reduction in upfront stamp duty) is perfectly sensible and appropriate for Cayman. And it should apply to all owners (local and foreign) as all benefit from the better infrastructure and services, and property values should increase as a result. To those who argue that any CSC would spell the end of Cayman as we know it, I would ask them to think back to the “good old days” (maybe before they themselves arrived in Cayman) and what they would have said when stamp duty on real estate transactions was first introduced and Cadastral survey teams registered all land titles. There were many at the time who said all was lost (Caymanians were ready to march against the Land Registration and Adjudication Laws and related legislation) and that no-one would ever invest in real estate here. History has proved those naysayers mightily wrong. The CSC proposal requires important sectors of our community to recognise the merits of the suggestion, rather than dismissing it out of hand. So I would challenge the real estate industry to apply its undoubted expertise towards developing a fair, workable and marketable CSC (and revamped stamp duty regime) that is forthe long term benefit of all. (CNS): The new accreditation system, which will require businesses trading in the Cayman Islands to reach certain criteria before they can apply for work permits, will be rolled out as a test project to the financial service industry within the next few weeks. Sherri Bodden-Cowan, chair of the Immigration Review Team, told Chamber members yesterday that ten volunteer firms were already using the self-assessment tool and helping iron out problems with the new system that will eventually be rolled out across the entire commercial sector. Designed to streamline the way work permits, key employee and immigration issues are handled, the goal is to address the continued criticism from the business community over the crucial issue of immigration. The review of the system, which Bodden-Cowan said had started under the previous administration, was supported by both political parties. The result was the accreditation system which was now almost ready to be piloted across the financial sector. Speaking to a packed audience at the latest session of the Chamber of Commerce’s ‘Be Informed’ series on Wednesday afternoon, Bodden-Cowan said the new accreditation system would be introduced via the regulations in the Immigration law and would not require legislative changes, meaning the pilot project could be implemented in June early July once the online self assessment tool was fully functioning and Cabinet had approved the final plans. The new system is based on the accumulation of points to reach one of four tiers, which will convey gradually increased benefits on employers with regards their immigration needs. Those who do not reach tier one, however, will not be able to apply for work permits. The IRT and the Immigration Department have come up with an online self assessment tool that will enable each firm to file their information with immigration officials via the website and receive a score based on criteria that can be properly and fairly measured. This score will then determine the tier level which a given company has reached, giving certain benefits in regard to permits, key employees and the speed of grants, speeding up the application process. Following the decision by government to allow certain important positions within the financial services to be presumed key, Bodden-Cowan explained this system would help ensure that the employers gaining those key employees are good corporate citizens. “With the presumption of key employees in certain position we have to make sure that we are not giving that away to companies not dedicated to the promotion of Caymanians or who are not good corporate citizens,” she explained. 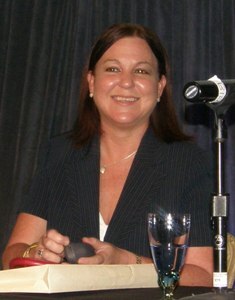 She said the system was now capable of a precise calculation of points awarded on the basis of correct licensing, following the Labour L,aw, training and opportunities for Caymanians, maintaining high standards of business ethics, involvement in community programmes and the development of under represented industries desirable for the Cayman Islands. In return, as employers attain higher tiers they have a greater chance of getting all their applications dealt with and granted in a far more timely fashion. “What we are trying to do is reward the best employers with the best service from immigration,” the ITR chair said. She said that once the pilot was rolled out across the financial services sector, it would be reshaped to fit the rest of the business community with two parallel systems for small and large business where the points criteria would differ based on the size of local businesses and their immigration needs. She said it was obviously far more difficult for a mechanics shop to offer the same level of scholarships for Caymanians as found in a large offshore law firm, for example, so there would be a different scoring system for small businesses, which could earn a lot of points by offering just one apprenticeship or other types of community contributions. Presently, she said, ten local reputable financial firms had acted as guinea pigs and were ensuring the online tool was asking the right questions and calculating the tiers properly. A report was due to go to Cabinet on that test study very soon which would pave the way for the pilot programme to begin. Once the system is in place, the next question would be if it was time to drop the business staffing plan, which she said everyone had to admit had not been a success and had not worked the way it was intended. The first goal, however, was to get the new accreditation system up and running in the financial services sector so that the IRT could then turn its attention to the restof the community. The primary goal was to address the endless complaints made about the immigration system, making it both fairer and more efficient. Chief Immigration Officer Linda Evans warned of problems ahead, however, when she revealed the ongoing staff shortages in the department and the impact of next year’s budget cuts. One of the goals of the new system is that the Immigration Department will give major financial firms who reach the top tier their own account handler to speed up their applications and keep on top of the company’s permit and key employee needs. Evans warned that while the department had asked for thirty people to help roll out the new accreditation system, they had actually been allocated six posts, so the goal for each firm to have its own immigration officer may be a difficult one for the department to achieve in the short term. (CNS): The Cayman Islands government has entered into its 18th Tax information Exchange Agreement. The deal was signed in George Town today, Thursday 27 May with Germany. The signing ceremony was held at the GIS Conference Room and was hosted by the premier, McKeeva Bush who signed the agreement on behalf of Cayman. 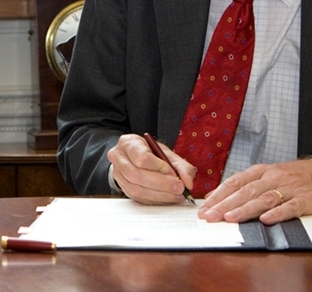 Germany’s Ambassador to Jamaica, Jürgen Engel, signed the agreement on behalf of Germany. Bush said the agreement was a milestone in the countries’ relationship not least because of the presence of a number of leading German financial institutions in the jurisdiction. Bush said that a bi-lateral agreement with Germany had been in effect since 2005 as part of the implementation of the European Union Savings Directive, under which Cayman reports interest income earned by German citizens in the jurisdiction’s accounts. Engel said the agreement strengthened the resolve of the two countries to enter into fair and transparent tax competition and it symbolize the desire to follow the OECD standards of transparency. Bush noted that several Cayman government officers were working side-by-side with their German counterparts on mutual areas of interest, such as in the OECD Global Forum on Transparency and Exchange of Information for Tax Purposes’ Steering and Peer Review Groups. The governor, Duncan Taylor, Attorney General, Samuel Bulgin, Financial Secretary, Kenneth Jefferson as well as members of the legislative assembly, senior officials from the Ministry of Finance and the Cayman Islands Monetary Authority were as present at the ceremony as was as representatives from the private sector. During his visit to Grand Cayman, Engel also met separately with the governor and Germany’s Honourary Consul for the Cayman Islands, Christiane Schuette-McField and representatives from Cayman’s business community. (Reuters): Yahoo Inc said it could return to double-digit revenue growth in the next few years, as the Internet pioneer revamps its network of websites to attract users and advertisers in a shifting Internet industry. Yahoo told analystsWednesday that its net revenue growth between 2011 and 2013 would average between 7 and 10 percent as opposed to the roughly 13 percent revenue decline that it experienced in 2009. 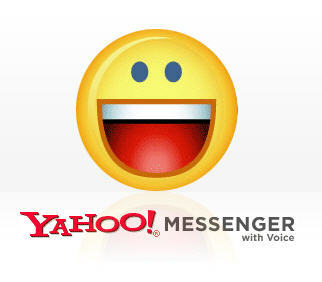 "Yahoo has its focus. It is excited about its future and it has its pride back," Chief Executive Carol Bartz said. Yahoo claims more than 600 million global users and plans to add more social media, video and local content to its properties as a way of growing its revenues. 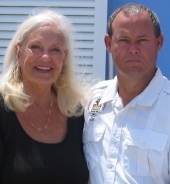 However, there was a bad storm and Captain Kris Bergstrom of Cayman Airways and Marcus Cumber of Island Air spent the night trying to get a plane to fly over to pick her up, but no flights were allowed into Little Cayman at night due to the flight risks. The situation was relayed to Erbin Tibbetts and Customs Officer Tate McFarlane, who were on the Brac, and they were told she needed to get to the Brac Hospital as soon as possible, Soto said. Despite the danger they faced themselves, the decided to make the journey in the DoE boat between the Sister Islands. "As they most often do, they set out, picked up the patient, turned back to the Brac through the storm and rough seas. As fate would have it, the prop fell off in thousands of feet of water. However, prepared with a spare prop, they put it on and continued the journey arriving in the Brac at 6:00 am,” Soto recalled. She said she made it safely to the Brac, along with Paramedic Andrew Barron and her husband, Bob Soto, on board. Soto said how happy she was to present to Tibbetts, the hero of her story, the AED as a gift from the Board of Directors of the Cayman Heart Fund and hoped it would save more lives. (CNS): In an effort to raise cash and awareness the Cayman Islands Amateur Swimming Association’s (CIASA) is organizing a bikini parade and hopes to create a new world record. The Guinness World Record attempt will take place on 17 June when hundreds of Bikini-clad folk will gather for a one-mile parade along Seven Mile Beach, starting at Tiki Beach Bar at 5:45pm. Signing on as co-sponsor, dms Broadcasting station X107.1 said it would be helping drum up support to put Cayman on the bikini map. Chloe Hill of X107.1’s The Morning X said while it was a fun event, X107.1 was proud to sponsor community events which encourage an active and healthy lifestyle for Cayman’s community. “Proceeds raised from this event will go towards supporting swim initiatives and remind people about the hard work of CIASA. Furthermore we are motivated at the prospect of getting as many people out there to get Cayman’s name in the Guinness Book of World Records – this is our chance,” she added. Registration is $15 KYD and will take place prior to the event at 5:15 PM at Tiki Beach Bar. Alternatively, visit www.ciasa.ky to register early. X107.1’s The Morning X will be giving away free registrations to loyal listeners leading up to the event. Programming Director Matt Nasby said the station would be using its voice to encourage participation. “We need the community to come together and really put our name on the map as a record holder. Mix up your Thursday afternoon with us out on the beach, rocking to great tunes and mixing with friends…..Chuck your bikini in your car on your way into work, and make a beeline for the beach when the workday is over….” he said. (City AM): The Alternative Investment Fund Managers directive which will make it harder for non-EU funds to market themselves to European investors could offer an opportunity for Gibraltar which is looking to grow as an international destination for hedge funds. As the prospect of tighter regulation makes more exotic jurisdictions, such as the Cayman Islands appear less attractive, senior figures said the British territory, which is part of the European Union, could benefit. Funds based in Gibraltar are regulated in line with those in Dublin and Luxembourg, meaning they will be automatically “passported” to customers on the continent. James Tipping, Gibraltar’s finance centre director, said the territory wanted to emulate the expansion of its insurance sector, which has grown fivefold to 100 companies over the past decade. 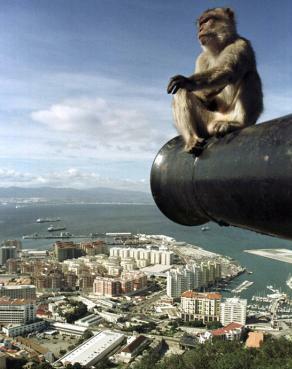 Gibraltar hosts around 70 fund managers, including Sirius. “There is anopportunity for asset management firms to consider Gibraltar because of the overall package,” he said, citing lifestyle as well as the low taxation burden as attractions. Corporation tax falls to 10 per cent in January, while individual tax for high earners is levied as a flat sum of £27,000 annually. 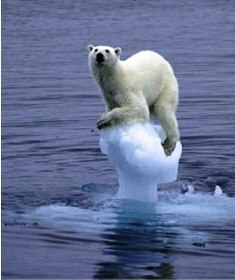 (New York Times): Last month hundreds of environmental activists crammed into an auditorium in London to ponder an anguished question: If the scientific consensus on climate change has not changed, why have so many people turned away from the idea that human activity is warming the planet? Nowhere has this shift in public opinion been more striking than in the UK where climate change was until this year such a popular priority that in 2008 Parliament enshrined targets for emissions cuts as national law. But since then, the country has evolved into a home base for a thriving group of climate sceptics who have dominated news reports in recent months, apparently convincing many that the threat of warming is vastly exaggerated. (CNS): The political representative for East End has hit out at the premier and called him liar in connection with the retreat over MLAs’ salaries. PPM member Arden McLean told CNS that the opposition benches were never consulted over the proposed 20% pay cut for politicians and they had certainly never rejected it. He denied the premier’s accusation that he had ever indicated that he or his PPM colleagues were not willing to accept the proposed reduction in salaries or said anything about only being willing to take the same 3.2% cut in line with other public sector workers. That rejection, McLean said, came from the UDP’s own MLAs and it was time the people of Cayman began weeding the lies from the truth. McLean emphatically denied that he or the PPM had ever given any indication in the Legislative Assembly or anywhere else that they were not prepared to accept the pay cut, despite the fact the premier had announced MLAs would receive a pay cut of 20% without having consulted the opposition or the independent representative for North Side, Ezzard Miller. The East End MLA engaged in a heated discussion with Premier McKeeva Bush yesterday, which was broadcast on Rooster’s morning talk show when he called the premier a liar. Bush said he had seen the reaction of the opposition and knew they didn’t want the pay cut. However, McLean said that all along members of the PPM had been willing to accept the more significant reduction in pay if it would help towards balancing the budget. Appearing as a guest on CrossTalk, the East End MLA said that the premier’s suggestion that all MLAs had rejected that cut was misleading. “He did not consult us, so he shouldn’t say it was us when it wasn’t,” McLean maintained, referring to his opposition colleagues, and said the pay cut must have been rejected by the government UDP representatives as it was not the PPM. The premier called the radio show and accused McLean of reacting in such a way that he had made it clear to him the opposition was rejecting the pay cut. The premier suggested that at the last meeting of the LA earlier this month McLean had said he would only accept the same cut as the rest of the public sector. McLean denied the allegation and said the premier was lying and was both shameless and disgraceful by trying to mislead the country into thinking it was the PPM representatives who were rejecting the cut when it was his own members. Speaking to CNS this morning, McLean said the premier’s accusations were outrageous and he had never said anything of the kind and no one in the PPM had been asked anything or consulted in any way about MLAs’ salaries. The row erupted as a result of comments made by the premier to News 27 on Tuesday that the proposed 20% salary cuts for all MLAs, a 30% cut for himself and reductions in benefits had been rejected by the members of the House in favour of cuts in line with the 3.2% pay cut that will impact all public sector workers from 1 July. The premier has said that MLAs’ salaries will be cut now by the 3.2% and he will be talking a 5% salary cut in his premier’s pay and not the 30% he had originally offered to take.